Hi! 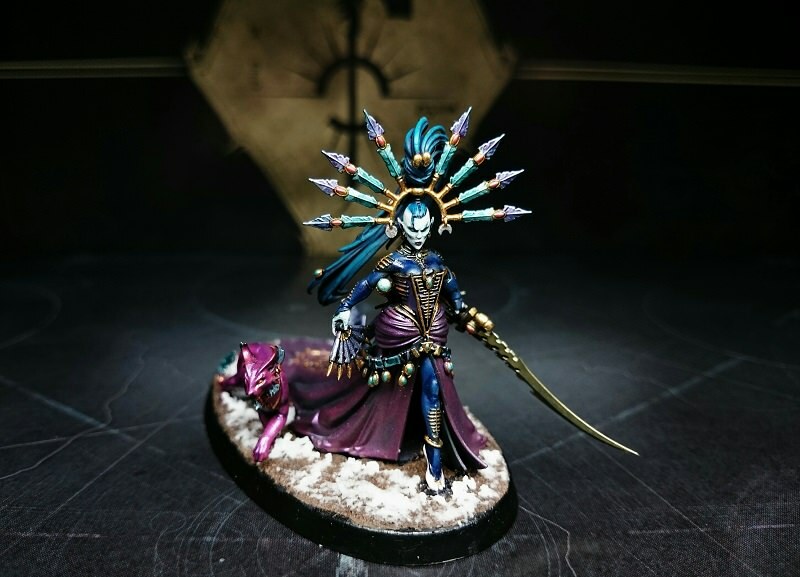 I'm the owner and lead artist of a small miniature painting studio in Poland. 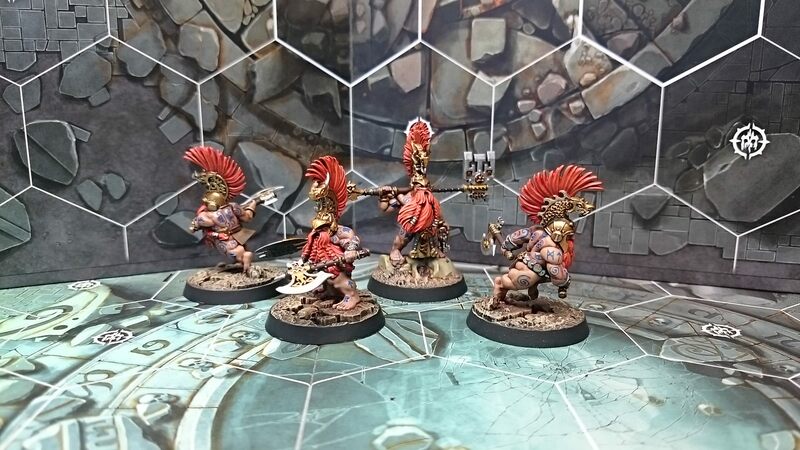 We take commissions for miniature purchase (at 75% MSRP), assembly, conversion and painting and ship worldwide, in secure foam and hardened containers. 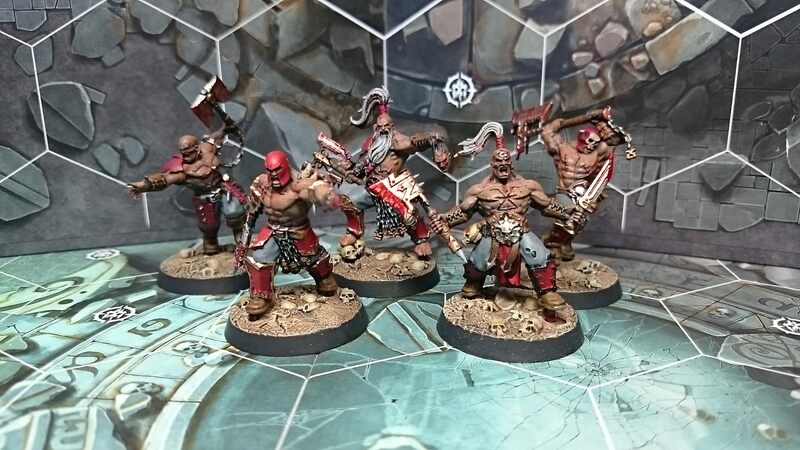 How do I commission the Threefold Brush Studio to paint my miniatures? First, you need to get in contact with us - either by a Private Message here, on Facebook or our email at threefoldbrush at gmail com. We will agree on what is to be painted, in what standard and what will be the expected deadline. Then, decide whether you will supply us with your models of choice or you wish us to purchase them for you. You will need to cover the cost of such purchase and/or shipment up front. You will also be expected to cover a 50% deposit on the overall price of the service. All payments can be done by either PayPal, VISA/Mastercard or a wire transfer. Once the models arrive, we will begin work on them, depending on Studio schedules and the deadline we have agreed upon. You will be provided Work In Progress snapshots of the miniatures, as well as photos of the finished product. After all the work is finished, you will need to cover the other 50% of the payment plus shipment & packaging cost to your location. Once the payment arrives, your models will be safely packed and sent to you within 48hrs or two working days, to account for any local holidays. We are willing to assist you by purchasing and preparing Safe & Sound or similar cardboard + foam packaging systems for you, to further enhance the security of the models while they are being shipped. For other models that do not fit such systems, we will use double-packed bubble wrapping, styrofoam and cardboard packaging to ensure your models arrive safely. Should you have any questions, feel free to email us at threefoldbrush gmail com or PM us here or on Facebook. All of the prices are negotiable and depend on the scope and size of the order, as well as techniques used. All sample prices are in EUR (Euro). Currency conversions are adjusted per payment day’s exchange rates and fees incurred (PayPal fees, etc.). We accept payment via PayPal, VISA / Mastercard (PayPal donation button code, no need for a PayPal account) or a bank wire transfer. Invoicing is available for all orders, VAT tax applies within the European Union. Sample prices include: assembly, mold line removal, part fitting / adjustment, “BASIC” level painting, basing, varnishing. Sample prices do not include: model cost, shipping, packaging, VAT tax (European Union only). 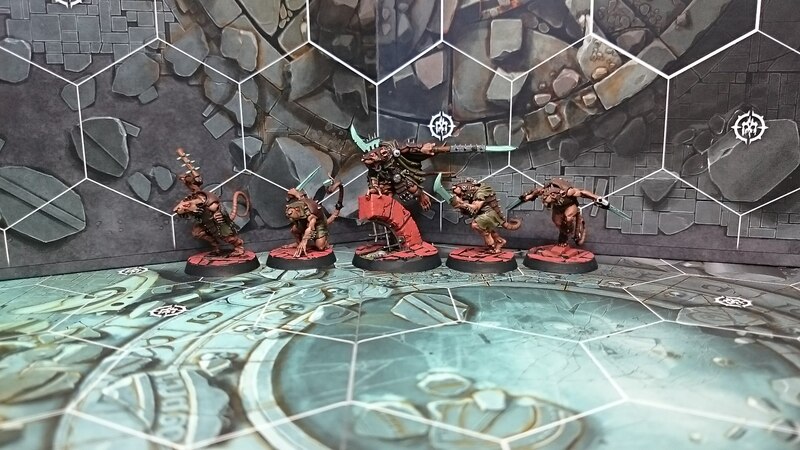 The BASIC painting standard means that the miniature will be assembled, cleaned up, primed, pre-shaded and then painted to a good “tabletop” standard. All details will be coloured, basic shading techniques will be used. Vehicles will be painted with the use of an airbrush. Some basic weathering (powders) may be used, depending on customer preference. 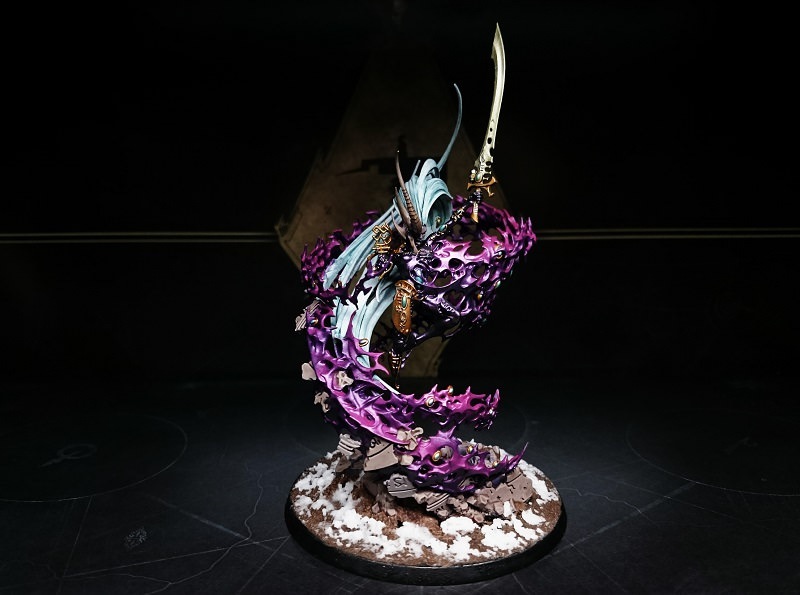 The ADVANCED painting standard expands the techniques further, into advanced blending / layering techniques, highlights, as well as detailed work on as complex camouflage patterns, markings, etc. ; some advanced weathering and battle damage may also be involved. 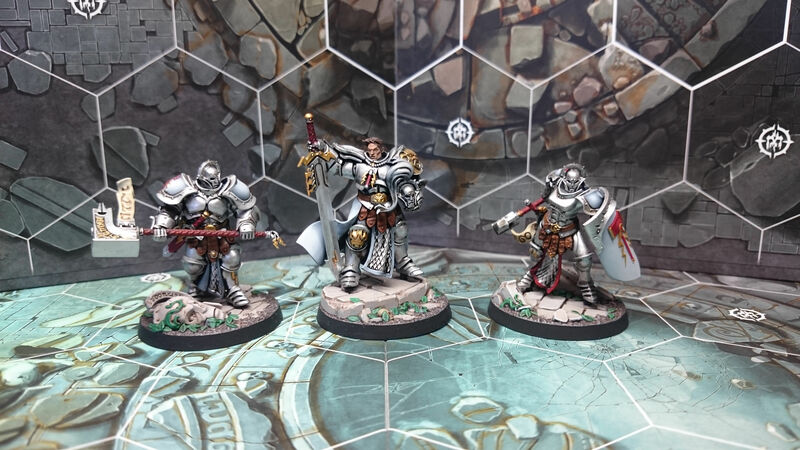 Lastly, the ELITE painting standard calls for top of the line techniques and display-level quality. 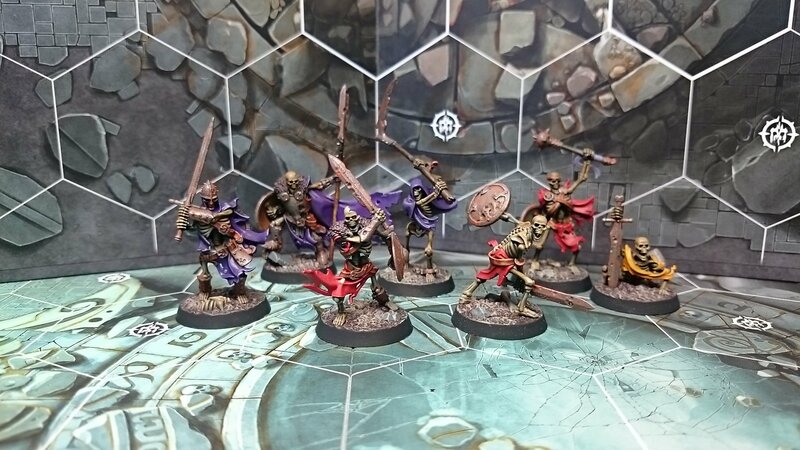 These miniatures will have the best blending brushwork, finest highlights, custom bases, freehands and most advanced weathering. Shipment costs are based on the Polish Post Office prices or the courier service chosen by the Customer. In all cases, the parcels are tracked and insured. Expedited shipment may be used, where requested. Fully negotiable, considered ELITE level. You may also find our work on Instagram (https://www.instagram.com/threefoldbrush/). Below you will find our completed commissions and works from our own collections. Enjoy! 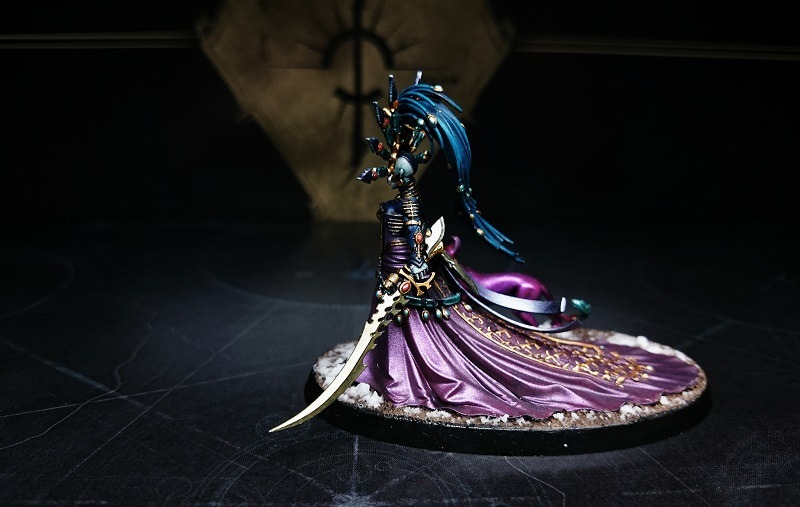 Now, that is a GORGEOUS Yvraine. 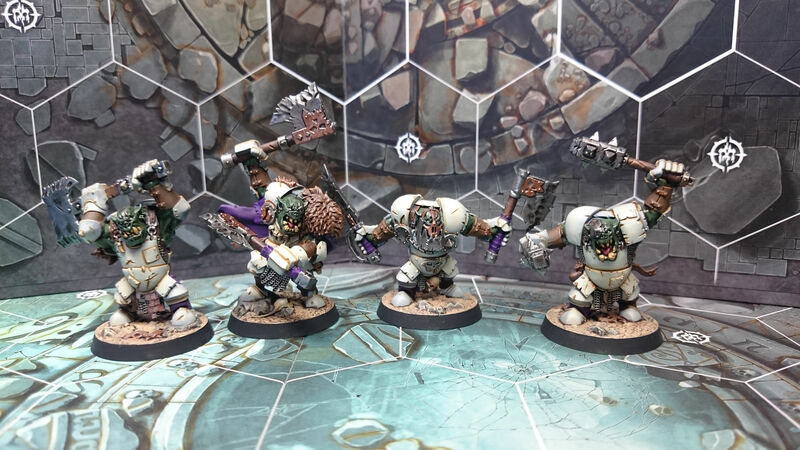 The shadespire bands are quite nice too, but I feel the white for Wurzag's mob falls a bit flat/bland. Thanks! I didn't like the bone ork armour either, but that's exactly how the customer wanted it, so - eh?